Today, I made a pouch with an applique of "Asagao", morning glory. I like this flower very much. The "Asa" means morning, and the "gao" means face. It is a flower that blossom in the morning. 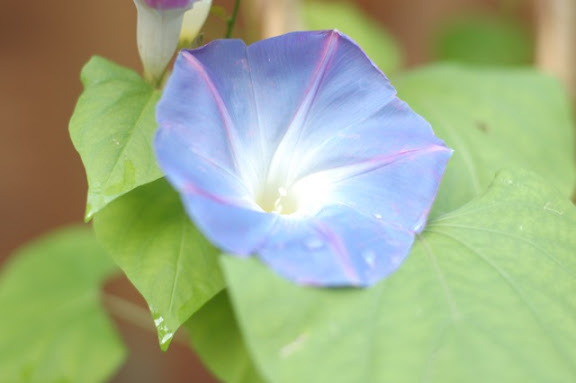 There are also "Yuugao(evening glory)" and "Hirugao(afternoon glory)". 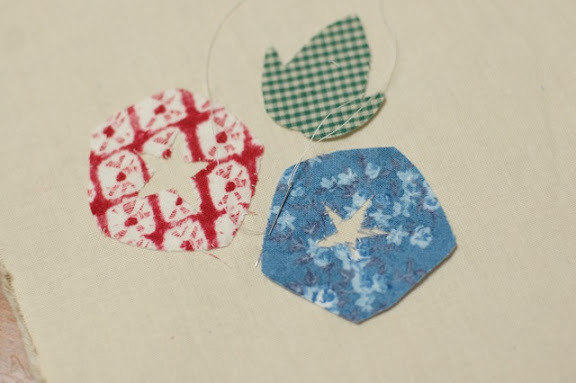 By the way, I put thin adhesive interlining on a cotton, and cut it as a shape of morning glory. 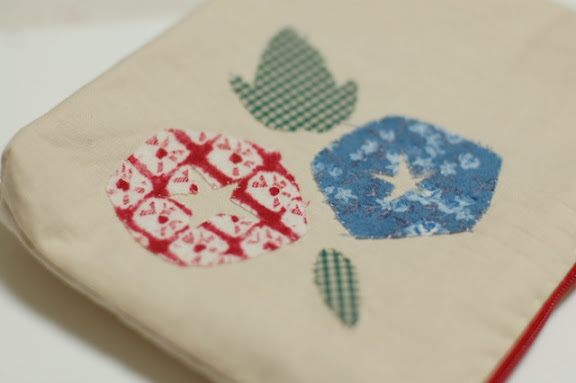 Then, I appliqued them on a cotton and made it as a zipper pouch. Asagao has a star at the center!